The Fieldsheer Mach 6 (Tech Skin) gloves are just the ticket for enduro riders looking for a textile/leather glove that offers more protection that the standard neoprene mx glove without sacrificing comfort, tactility, ease of care (they are completely washable) and ventilation. 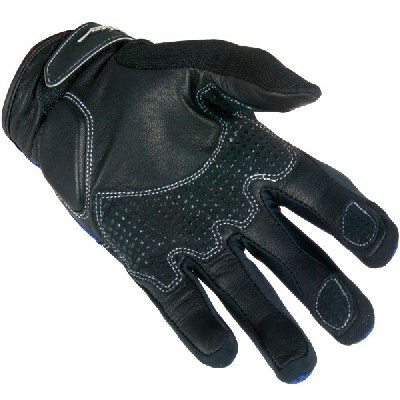 If you are looking a functional, durable glove that offers levels of protection approaching what one might expect from a pretty good glove for the street, the Fieldsheer Mach 6 Glove might be just the ticket. Mach 6 gloves feature a mesh back for ventilation, a reinforced leather palm with gel dot patches on the thumb and fingers, neoprene pads on the finger tops, hard knuckle protectors (with ram air), Neoprene cuffs with Velcro enclosures and memory foam padding on the outside of the palm. Mach 6's run small (I normally wear XL gloves but wear XXL in the Mach 6's) but the fit is otherwise good. I have very long fingers and the Mach 6 fit, for me, is fine. Most of the other textile gloves I've tried (nearly all of 'em) require that I upsize the glove to get sufficient length in the fingers - resulting in a glove that is otherwise too big and sacrificing dexterity and tactility. No such problem here. MSRP for the Mach 6 is around $40 bucks but they are widely available on the web for a few dollars less. They are well worth the money. I am now on my second pair and I like them better every time I take them out for a ride. 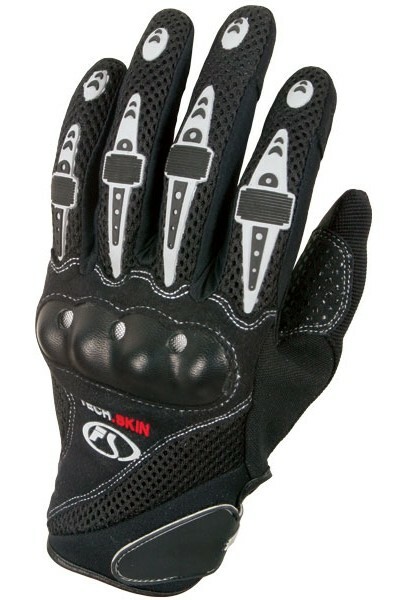 Until someone comes up with something that is demonstrably better this will be my glove of choice for serious enduro riding and general off-road touring. My Mach 6's have pumped four laps on the Tour of Idaho, logged many miles around the Mojave Desert, been water-soaked, crashed, covered with dirt, mud, grease, oil, gasoline, sweat and Cliff Bar gooey residue and just continue to perform like champs. They look pretty snazzy too (in a Klaatu chic kind of way) but perhaps that's just me. 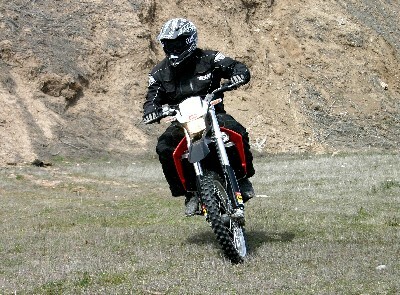 Mach 6's are available in a dizzying array of colors but black is the only one worth considering for off-road use. In one particularly memorable incident involving my Tech 6's I took a slide at speed on a road composed of very coarse gravel. In the course of this exciting demonstration of experiential physics I managed to shred a backpack, a helmet, a pretty good set of mx pants, a roost guard and an elbow pad ending up with several injuries including minor friction burns on the palms of both hands - but the Mach 6 gloves survived without any holes, burst seams or other visible damage. I seriously doubt that any set of standard mx gloves would have faired as well. I am, in fact, still wearing that particular set of gloves. 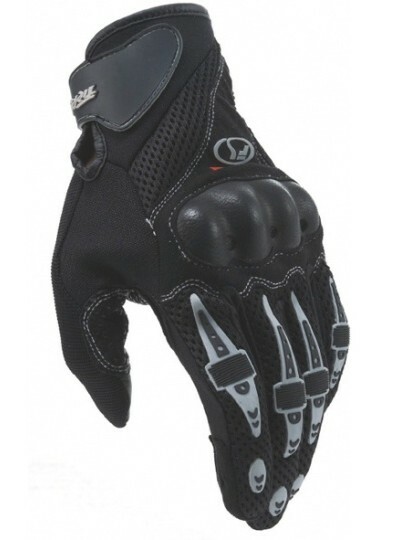 The Fieldsheer Mach 6 glove gets the MoJazz crash tested seal of approval. We think that they are the shazz and are confident that you will think so as well.